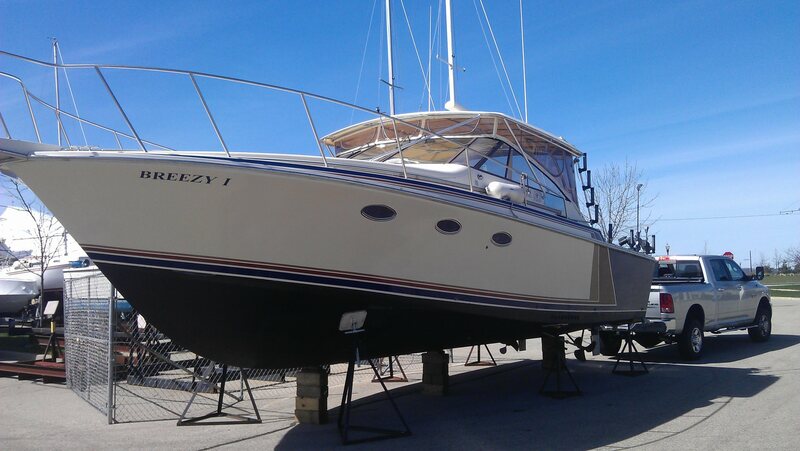 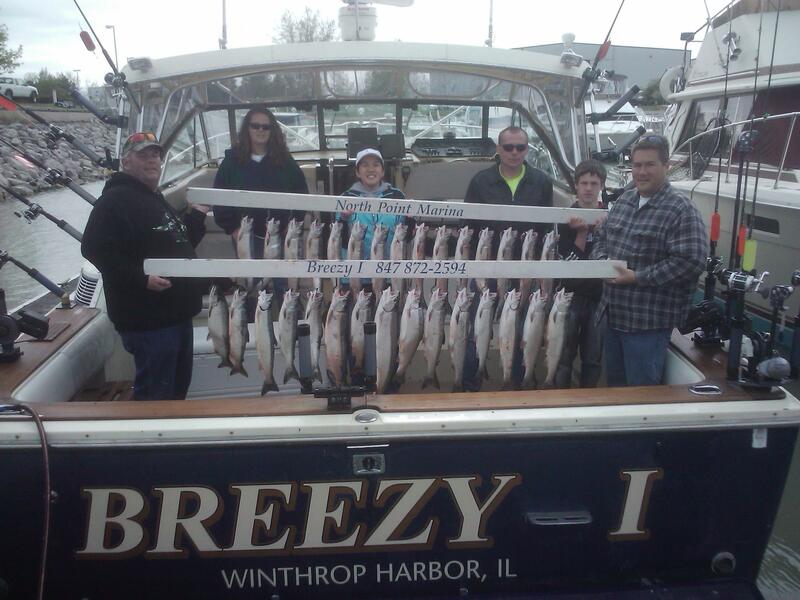 Lake Michigan charter fishing boat Breezy 1 out of North Point marina in Winthrop Harbor is rigged on on some fish. 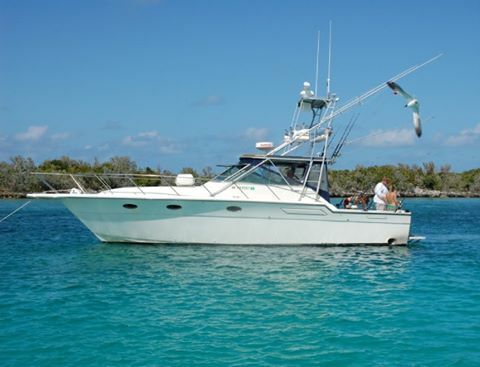 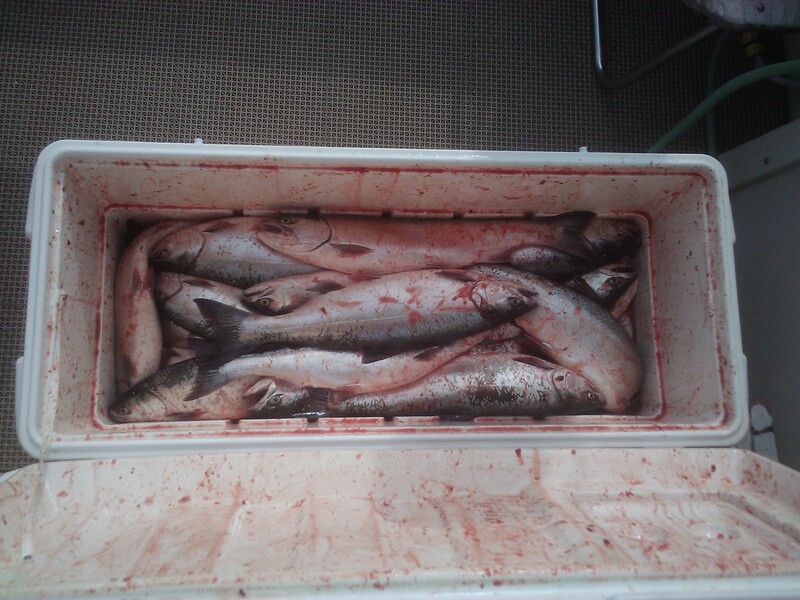 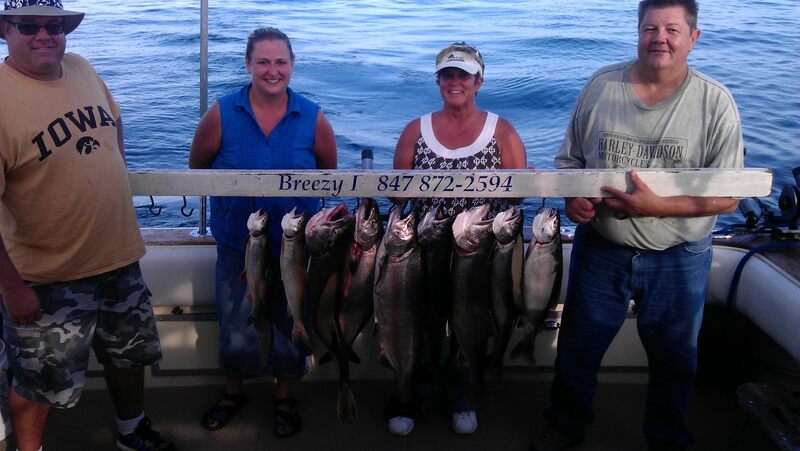 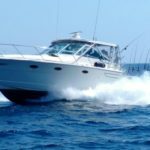 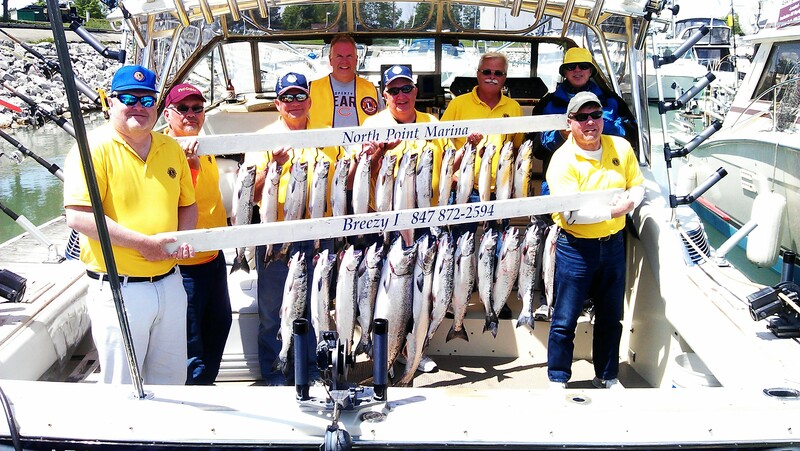 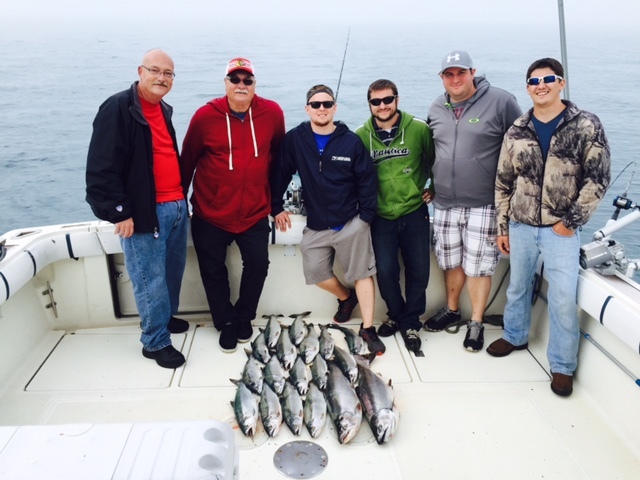 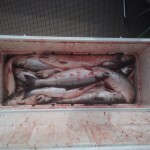 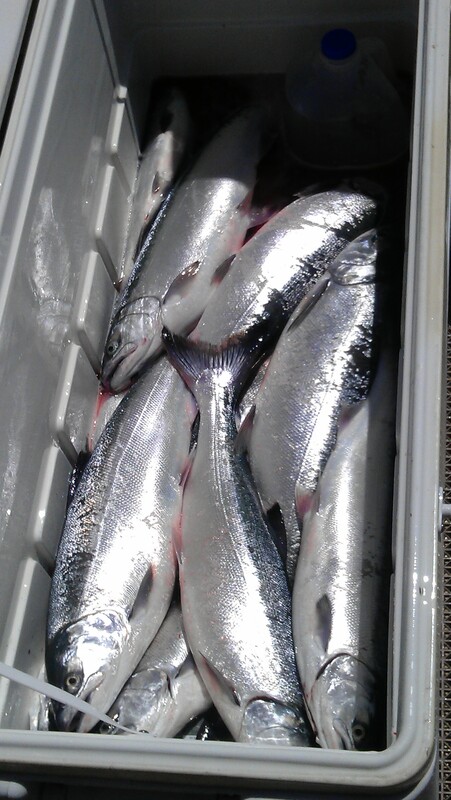 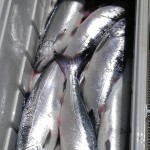 The Coho salmon is the targeted fish for most charter fishing boats in the spring and Winthrop Harbor is a prime location and the marina that Breezy 1 has called home for over 20 years. 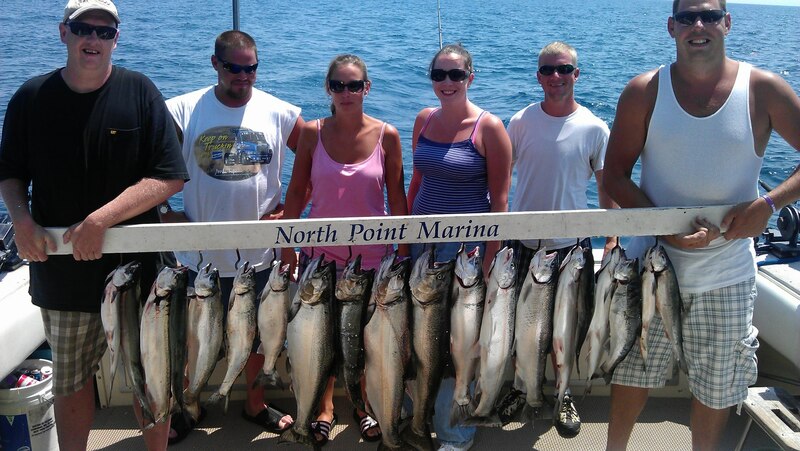 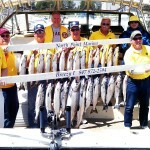 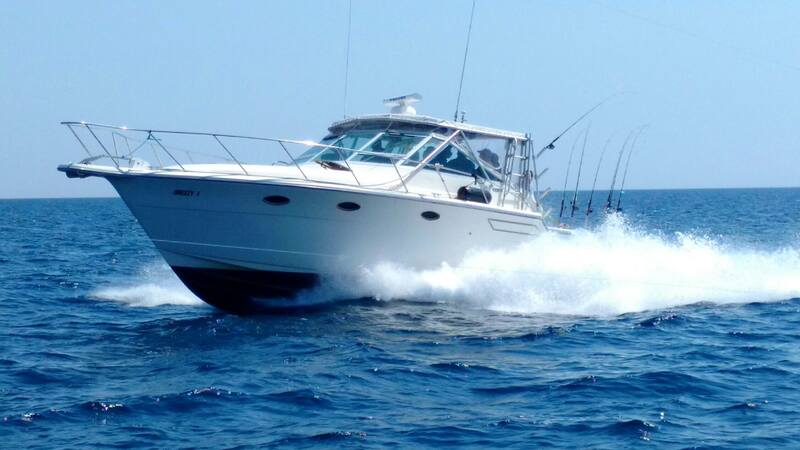 If Salmon is a charter trip you want on Lake Michigan prime time is late April thru mid June for numbers on Lake Michigan.